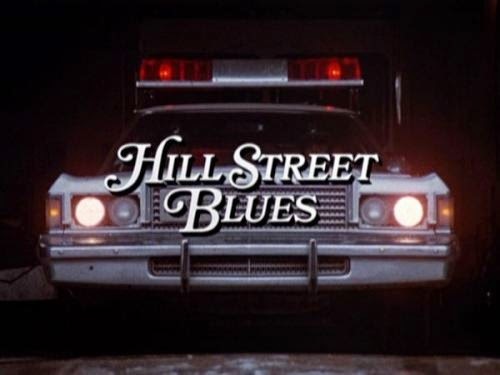 Hill Street Blues is an American serial police drama that was first aired on NBC in 1981 and ran for 146 episodes on primetime into 1987. Chronicling the lives of the staff of a single police station—"blues" being a slang term for police officers—in an unnamed American city, the show received critical acclaim, and its production innovations influenced many subsequent dramatic television series produced in North America. Its debut season was rewarded with eight Emmy Awards, a debut season record surpassed only by The West Wing, and the show received a total of 98 Emmy nominations during its run. The theme song was written by Mike Post (featuring Larry Carlton on guitar) and reached No. 10 on Billboard's Hot 100 in November 1981.